In this article, we’ll have a look at what Angular CLI is, what it can do for you, and how it performs some of its magic behind the scenes. 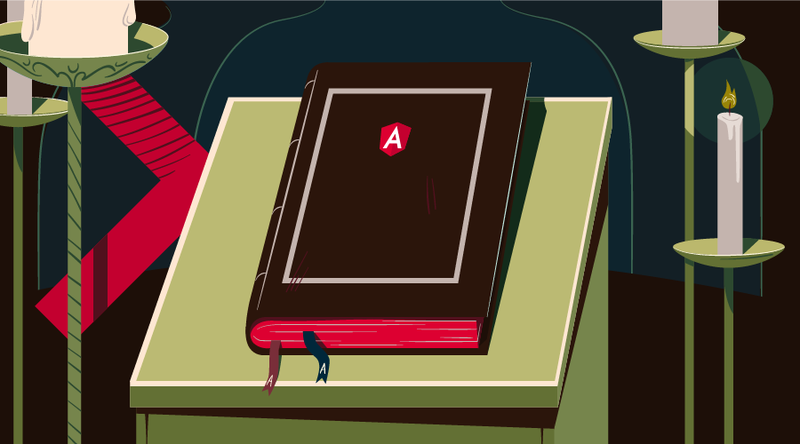 Even if you already use Angular CLI, this article can serve as a reference to better understand its inner workings. Technically, you’re not required to use Angular CLI to develop an Angular application, but its many features can highly improve the quality of your code and save you a lot of time along the way. Prefer to learn Angular using a step-by-step video course? Check out Learn Angular 5 on SitePoint Premium. This is the preliminary article in a 4-part series on how to write a Todo application in Angular. Part 4 — Use Angular router to resolve data. On September 15, 2016, Angular Final was released. Where AngularJS 1.x was limited to a framework, Angular has grown into an ambitious platform that allows you to develop fast and scalable applications across all platforms such as web, mobile web, native mobile and even native desktop. With this transition to a platform, tooling has become more important than ever. However, setting up and configuring tooling is not always easy. To make sure Angular developers can focus on building applications with as little friction as possible, the Angular team is putting a lot of effort into providing developers with a high-quality development toolset. Part of that toolset are close integrations with a wide array of IDEs and editors. Another part of that toolset is Angular CLI. 2017.04.25: As of March 24, Angular CLI v1.0 was released. This article has been updated to reflect the latest changes. If you want to add the latest features of Angular CLI v1.0 to your existing Angular project that was generated with an earlier version of Angular CLI, check out the Angular CLI v1.0 migration guide. 2017.02.17: As of February 9, 2017, the ng deploy command has been removed from the core of Angular CLI. Read more here. 2017.01.27: As of January 27, 2017, the official recommendation is to use the name AngularJS for any 1.x release and the name Angular for any 2+ release. This article has been updated to reflect the official branding guidelines. build your application for deployment to production. Before we have a look at each of the above in detail, let’s first see how you can install Angular CLI. Before you can use Angular CLI, you must have Node.js 6.9.0 and npm 3.0.0 or higher installed on your system. You can download the latest version of Node.js for your operating system and consult the latest installation instructions on the official Node.js website. Although TypeScript is technically not an absolute requirement, it’s highly recommended by the Angular team, so I recommend you install it to make working with Angular as comfortable as possible. Now that you have Node.js and TypeScript installed, you can install Angular CLI. This will install the ng command globally on your system. Now that you have Angular CLI installed, let’s use it to create a new application. ng new: create a new directory and run ng init inside the new directory. So ng new is similar to ng init, except that it also creates a directory for you. environment files with default settings are created. You’ll learn more about each of these aspects in the following sections. --inline-template: boolean, default false, use inline templates when generating the new application. Run $ ng generate --help to see all available options of your locally installed Angular CLI. Let’s see how you can start your application so you can see it in action. Angular CLI starts Webpack dev server to preview the result on localhost:4200. Notice that the ng serve command doesn’t exit and return to your terminal prompt after step 3. Instead, because it includes LiveReload support, the process actively watches your src directory for file changes. When a file change is detected, step 2 is repeated and a notification is sent to your browser so it can refresh automatically. To stop the process and return to your prompt, press ctrl-c.
ng g s my-new-service: add a service to your application. Each of the different sub-commands performs a different task and offers different options and parameters. SiteHeaderComponent is added as a declaration in the @NgModule decorator of the nearest module, in this case the AppModule in src/app/app.module.ts. --change-detection: string, specifies the change detection strategy. AdminLinkDirective is added as a declaration in the @NgModule decorator of the nearest module, in this case the AppModule in src/app/app.module.ts. There are no command line options available for this command. an AdminModule module is created inside src/app/admin/admin.module.ts. Notice that the AdminModule module is not added automatically to your main module AppModule in src/app/app.module.ts. It’s up to you to import the module where you need it. --spec: boolean, default false, add src/app/admin/admin.module.spec.ts with a unit test that checks whether the module exists. A pipe is the Angular equivalent of a filter in AngularJS 1.x and allows you to transform a displayed value within a template. ConvertToEuroPipe is added as a declaration in the @NgModule decorator of the nearest module, in this case the AppModule in src/app/app.module.ts. --spec: boolean, default true, generate spec file with unit test. a file src/app/backend-api.service.spec.ts is created with a unit test for your new service. Angular CLI does not just blindly generate code for you. It uses static analysis to better understand the semantics of your application. For example, when adding a new component using ng generate component, Angular CLI finds the closest module in the module tree of your application and integrates the new feature in that module. So if you have an application with multiple modules, Angular CLI will automatically integrate the new feature in the correct module, depending on the directory where you run the command from. Angular CLI automatically configures the Karma test runner for you when your application is initially created. When adding a feature to your application, you can use the --spec option to specify whether you want Angular CLI to also create a corresponding .spec.ts file with a sample unit test for your new feature. Spec files are created in the same directory of their corresponding feature in the src directory. This allows you to easily locate them when working on a feature. Running all unit tests of your application thus implies running all unit tests specified in all files ending in .spec.ts in all directories inside your src directory. Angular CLI runs Karma with the configuration specified in .angular-cli.json. By default this is karma.conf.js located in the root directory of your application. Karma opens the browser specified in the Karma configuration. By default the browser is set to Google Chrome. Karma then instructs the browser (Chrome) to run src/test.ts using the testing framework specified in the Karma config. By default this is the Jasmine framework. The file src/test.ts is automatically created when your application is created. It’s pre-configured to load and configure the code that’s needed to test your Angular application and run all spec files ending in .spec.ts in your src directory. Karma reports the result of the test run to the console. Karma watches the src file for changes and repeats step 4 and 5 when a file change is detected. To end the process, you can press ctrl-c. If you want to learn more about testing your Angular code, you can check out the Official Angular Testing Guide. Angular CLI automatically configures Protractor for you when your application is initially created. Executed 1 of 1 spec SUCCESS in 0.523 sec. Angular CLI runs Protractor with the configuration specified in .angular-cli.json. By default this is the protractor.conf.js file located in the root directory of your application. Protractor opens the browser specified in the Protractor configuration. By default the browser is set to Google Chrome. Protractor then instructs the browser (Chrome) to run all spec files ending in .e2e-spec.ts in your e2e directory. Protractor reports the result of the test run to the console. The process then exits automatically after step 5. If you want to learn more about E2E testing your Angular code, you can check out the Official Angular Testing Guide and the Protractor documentation. Running ng serve builds and bundles your Angular application automatically to a virtual filesystem during development. However, when your application is ready for production, you’ll need real files that you can deploy to your server or to the cloud. 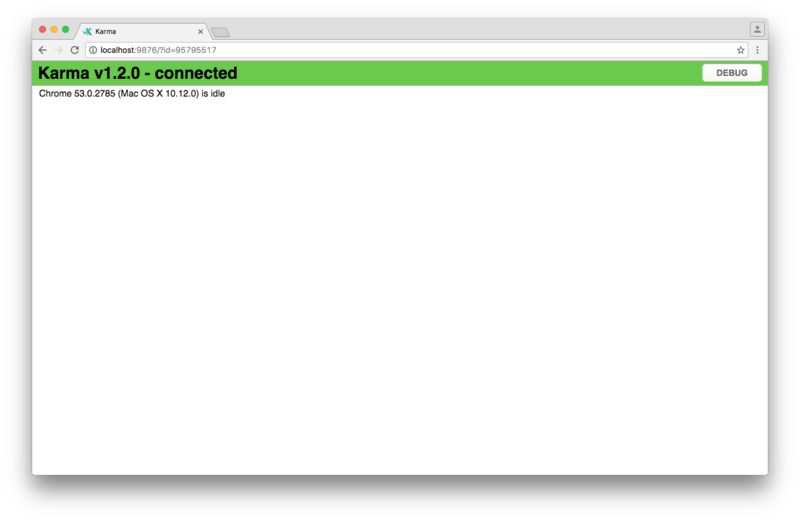 Angular CLI loads its configuration from .angular-cli.json. The result is written to the outDir directory specified in your Angular CLI configuration. By default, this is the dist directory. --watch: boolean, default false, watch files for changes and rebuild when a change is detected. production: minify and uglify code. Environments let you specify settings to customize your application behavior. prod: use settings defined in environments/environment.prod.ts. The build process will use the dev environment by default. The build process will make sure the right environment is provided when you import it. As of February 9, 2017, the ng deploy command has been removed from the core of Angular CLI. Read more here. As of v1.0, Angular CLI provides a command to decouple your application from Angular CLI. By default, Angular CLI manages the underlying webpack configuration for you so you don’t have to deal with its complexity. - "npm run build" to build. - "npm run test" to run unit tests. - "npm start" to serve the app using webpack-dev-server. - "npm run e2e" to run protractor. Running the equivalent CLI commands will result in an error. Some packages were added. Please run "npm install". The e2e script in your package.json is updated so you can run npm run e2e to run your end-to-end tests. After ejecting your application, you can manually update the Webpack configuration to your liking and the Angular CLI commands will no longer work. So if, for some reason, you want to move away from Angular CLI, the eject command has you covered. Angular CLI will be able to create a Web Application Manifest for you, generate an App Shell and provide Service Worker scripts to cache your application data. Learn more about mobile support here. In addition to adding features to your application, Angular CLI will also let you refactor existing features — for example, moving a component or renaming a service. Angular CLI will be able to help you with Angular upgrades. Because Angular CLI has a semantic understanding of your application, it will be able to help you with code changes that are required when upgrading to a newer version of Angular. Improved extensibility support so you can create your own custom add-ons and deployment scripts. Improved performance so Angular CLI becomes faster. In addition to creating a new application, Angular CLI will also let you create a new library that can be consumed by others. Some of these features are already partially available. Check out the GitHub repository if you want to play around with them. Angular CLI is a command-line interface (CLI) to automate your development workflow. deploy your application to a server. Although it’s technically not required to use Angular CLI to develop an Angular application, it can definitely improve the quality of your code and save you a lot of time and effort. Because of the many exciting features that will be added over time, Angular CLI will probably become an indispensable tool for developing Angular applications. To learn more about Angular CLI, check out the official website and the GitHub repository. The Ultimate Angular CLI Reference Guide was peer reviewed by Tim Severien, Vildan Softic and Joan Yin. Thanks to all of SitePoint’s peer reviewers for making SitePoint content the best it can be!